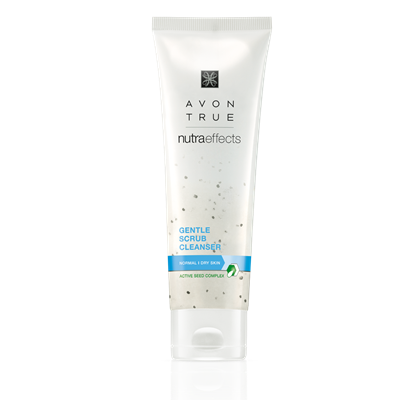 Avon True Nutraeffects Gentle Scrub Cleanser is a refreshing gel cleanser leaves skin feeling deeply cleansed, formulated with Cleansing Berries, Sunflower Seed Extract and Vitamin E. Suitable for normal to dry skin. How to use: Apply 2 – 3 times a week to wet face and neck, avoiding the eye and lip area. Rinse of with lukewarm water.